Are There Different Kinds of Fill Dirt? Fill dirt is the material used to fill holes and low areas or build up ground elevation on construction sites. The term “fill” is a generic term for any kind of dirt material used to fill low areas. Fill can consist of any material – sand, clay, gravel, and so on. Fill dirt is commonly made of subsoil, which is found about 12 inches below the topsoil. It consists of partially broken down soil that contains clay, sand, silt, and stones, and any other materials found in the source ground. If the fill dirt comes from the subsurface of old farm fields or from woodlands, it will contain whatever materials are there. It may contain some organic material. Its inorganic qualities make it ideal as fill because it does not decompose and settle like organic soils are prone to do. Because fill dirt provides a solid base, it is desirable for a variety of building projects. It is used for building permanent structures, paved roads, sidewalks, and hardscapes, and for filling low areas and correcting drainage. 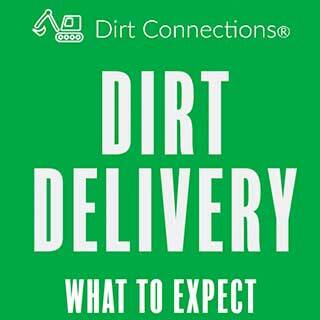 Fill dirt is important to fill in the space around underground utilities and pipelines. In landscaping projects, fill dirt can be used to terrace a steep hillside, create landscaping berms and mounds, small raised plant beds, or eliminate low spots in a yard. Fill dirt is usually less expensive than topsoil or other types of dirt needed to support landscaping plants. For example, you need certain types of highly organic dirt for gardening, depending on what you may want to grow. However, for building a home or a road bed, you cannot use topsoil or other garden soil because the organic materials will decompose and the surface will sink. This soil also erodes quickly and will not support building structures. For construction projects, you must use rockier, heavier, inorganic fill dirt. Fill sand, like fill dirt, is used to fill low areas, but they are very different. Fill sand is made of fine particles of rock that have been broken down and eroded into sand over thousands of years. It is good for improving drainage around wet areas and to fill areas around septic tanks and ponds where drainage is important. Sand tends to be prone to shifting and displacement, while fill dirt is very stable. Fill sand with more than 50% sand is good fill for areas that will be used for plants, and then topped with several inches of topsoil. Fill sand promotes good drainage and water percolation. When you use fill sand, you need to make sure that it has been properly cleaned of any large debris, toxins, or any other foreign material. 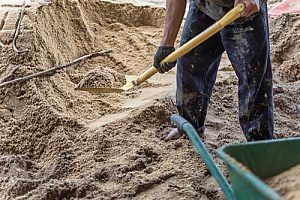 Fill sand is best used in projects that will involve regular exposure to water and moisture, while fill dirt is the best option for building an impermeable and solid construction project base. Rock fill contains big rocks, often larger than a football, to fill in deep openings. You can also use the large rocks to landscape your yard. It usually comes from blast sites or deep excavation sites. 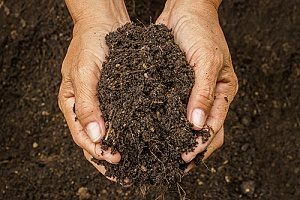 To grow grass or plants, you will need to top it with heavy layers of organic clean topsoil perhaps followed by compost, mulch, or manure. Landscaping rock fill is used for either function or aesthetic purposes, often both. It might be used for aesthetic reasons in areas where plants have a hard time growing. It can be used for garden paths, driveways, and in areas prone to erosion. You can find a wide variety of landscaping filler rock, such as pea gravel, road gravel, volcanic rock and river rock. In the case of fill dirt comprised of natural subsoil, “clean” fill generally means it is free of rocks and detectable contaminants. The term “clean” fill simply means the material contains no contaminants. 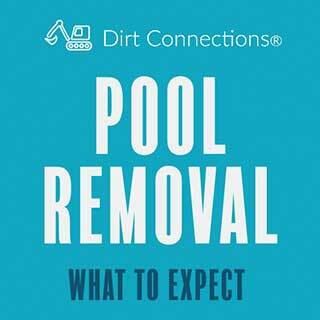 It means the dirt has been screened to remove roots, or other objectionable materials. When ordering clean fill, you should have your supplier certify that it is clean. If the fill is not subsoil, but instead is made of concrete pieces, bricks, gravel, or asphalt paving materials, clean fill means it is inert and is not a fire hazard and poses no danger to groundwater. Topsoil is organic. It contains nutrients that will support grass and plants. If you just need to fill shallow low spots in your landscaping, topsoil works well. It contains few, if any, rocks or other debris. Clean topsoil is easy to spread and level with a hand rake because of its purity. Fill dirt used in construction projects must meet specifications for gradation outlined by the project’s geotechnical engineer. The supplier of clean fill should be willing to certify in writing that the fill is virgin material from a commercial or non-commercial source and that all of the materials in the fill dirt are natural and do not contain any additives or dangerous materials such as refuse, rubble, muck, metal, glass, wood or other foreign materials. Good quality inorganic clean fill dirt consists of at least 50% clay. If you have doubts about the dirt composition, you can have it tested by the county agricultural extension office or a reputable lab. Also, before you order your fill dirt, be sure that you have checked all applicable Federal, state, and local laws and regulations to determine whether permits are needed and the type of fill you can use. Make sure you are getting the correct type of fill for the project you are planning. 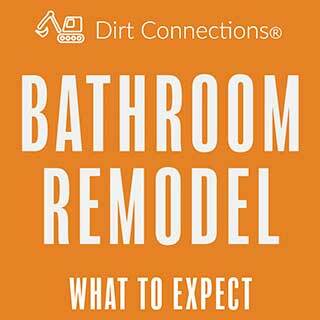 Consult with a reputable fill dirt contractor. A knowledgeable fill dirt contractor can discuss your project needs, help you comply with any applicable laws and regulations, and deliver the quality of dirt necessary to help ensure your project’s success.